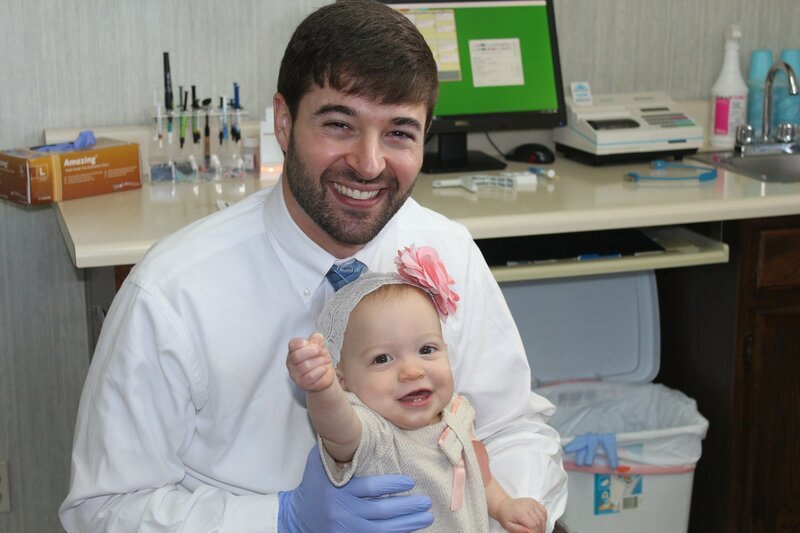 Dr. Curtis is a Huntsville dentist practicing family and cosmetic dentistry. After growing up in Huntsville, he attended the University of Alabama in Tuscaloosa where he studied Biology. During his sophomore year, he was accepted into the Early Assurance Program – an honor bestowed on less than 2 percent of applicants. He received his dental degree from the University of Alabama at Birmingham School of Dentistry – a school widely recognized as one of the top dental schools in the country with a focus on clinical dentistry. During his time at UAB School of Dentistry, Dr. Curtis participated in numerous community-service dental outreach programs including MPOWER, Cahaba Dental, Christian Medical Ministries of Alabama, and many others. He has continued this service mindset following school by providing local charity work in Huntsville and traveling to Honduras to serve as a dentist in a rural coffee plantation with a medical brigade sent from Mayfair. Dr. Curtis has also served the communities of Gadsden, Tuscaloosa, and Jefferson County in Community Health Service Clinics. He participated in service opportunities that serve the geriatric population in a nursing home setting at Fair Haven in Birmingham, AL. While Dr. Curtis’ grades placed him in the top 15% of his dental class, he was much more enthused by the clinician awards that he received. He was awarded not one, but three clinical excellence awards for: Excellence in Esthetic Dentistry, Management of Orofacial Pain including Temporomandibular Disorder, and the Academy of Operative Dentistry Award.